Hubs There are 10 products. 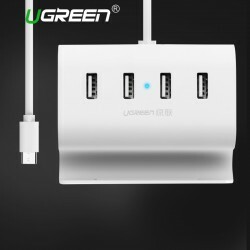 Brand name: Ugreen. Model no. : CR106 Interface: 4*USB 2.0 Power supply: micro USB Please select a type. 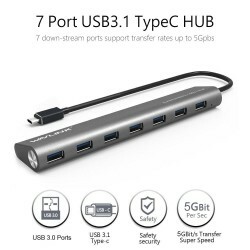 Brand: Robotsky Name: type C to type C + 3 USB Hub For: Mackbook, Chromebook, Pixel 2 HuaWei MateBook, X6ti-M2 Alienware 17, Lenove Yoga 900-ISE Xiaomi Air 13.3 12.5 and more Please select a color. 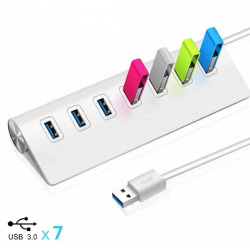 Item: 4 Ports Aluminum USB 3.0 HUB Material: aluminum. 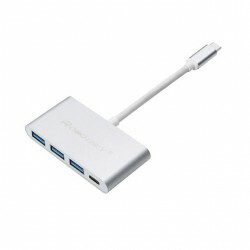 Interface: USB 3.0 (5 Gbps)*4 Certificate: CE and FCC approval. Hot Plug: support. LED Indicator: blue. Size: 93 * 67 * 34mm.